I saw this on PBN today. They got into a fist fight at ION. That's Skirmish for you in a nutshell. Swing at somebody, don't even get escorted off the field. We had one of our guys get tackled by some nutbag, the refs let the dude walk away, we found him later and reported him to the ownership, and nothing got done. Classic example of a field that doesn't give two ****'s about the players, just wants to take the money and run. Anyway, back on topic, I play almost nothing but big games and scenarios all the time. The thing about guys like in the video is that most of them spend about 5 minutes on the field for every half hour they spend in the parking lot reloading, so frankly, they don't bother me much. They're certainly not the majority, though they do exist. To be honest, even though I'm always hearing stories of douchebaggery and cheating at big games, having played them nearly exclusively for 7 years now, I've rarely witnessed any firsthand (save for Skirmish). Yup. Skirmish is the most dangerous and least safe place I have ever been to. Legends was a little more intense than this video from what i remembered. Jay; get a g6r; they are fun to shoot! It's only a net positive if the producers of the event advertise it as an extreme event and discourage new or lesser experienced players to take part if they are not ready for an extreme environment. If they are allowing first timers to take part, as they do here in my neck of the woods at their larger scenario games, then I have to disagree with it being a net positive. 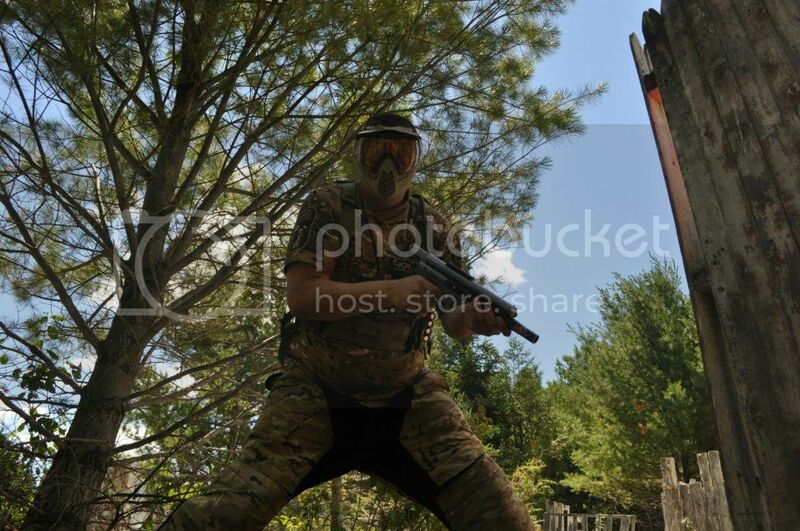 The sheer volume of paint, shot usually by quite a number of players at these type of games, will be a net negative for many an inexperienced player, in my opinion, which is based on common sense and 11 years of running paintball games with many newer and inexperienced players. I can't really argue with you here. The big games do try to cast a wide net. Yes, it's common sense that some players will be irrationally put off by a large volume of paint thrown around. And I explained that it's because it "rattles" them, or intimidates them, or some other psychological effect which is largely irrational when it's not actually hitting them. Which by the way is where the majority of the paint in these big games goes -- literally nowhere. No, having a high number of paintballs shot at my bunker now and then doesn't rattle me personally, but "rattle" is not what I was replying to in the quote in your thread. But that doesn't mean that I would want to take part if it was occurring all day long. I know from experinece that I would not want to take part. Not because I would be rattled, but because I would not find it enjoyable or have much fun. Having said that, I have no problem with anyone taking part if they DO find the environment enjoyable and are having fun. Paintball has enough variety these days (at least up here in our neck of the woods in the Great White North) that we can choose to take part in what we DO find enjoyable. This might be a little too advanced to be discussed with paintballers, but it's not enough to simply say, "I don't enjoy this." We get that you don't enjoy it. Got it, loud and clear. But if you don't state *why* you don't enjoy it, then you leave the interpretation to others. (Aside from the fact that it intimidates newbies, which you are not supposed to be, so that doesn't apply to your personal experience of being in game and shot at.) Without stating *why*, you leave it to us to apply "common sense" to *you*. This is what separates the newbs/bad from the good players, IMO. Not equipment, not number of years played, not number of years running a field. It's the ability to stop, calm that panicky voice inside that comes from the discomfort of being shot at while crouching in an uncomforable bunker in the 110 degree heat of the 8th game of the day, and think rationally and make the right decisions. So again, it's not enough to just say, "I don't enjoy this." At some point, one would hope, you would stop and think, "Wait, why don't I like this?" Since you haven't come out with it, I'm thinking either you haven't been through this exercise, or you're just withholding it for some reason unbeknownst to me. I believe I've hopefully explained why volume of paint alone does not bother me, personally, in a rational manner. .. 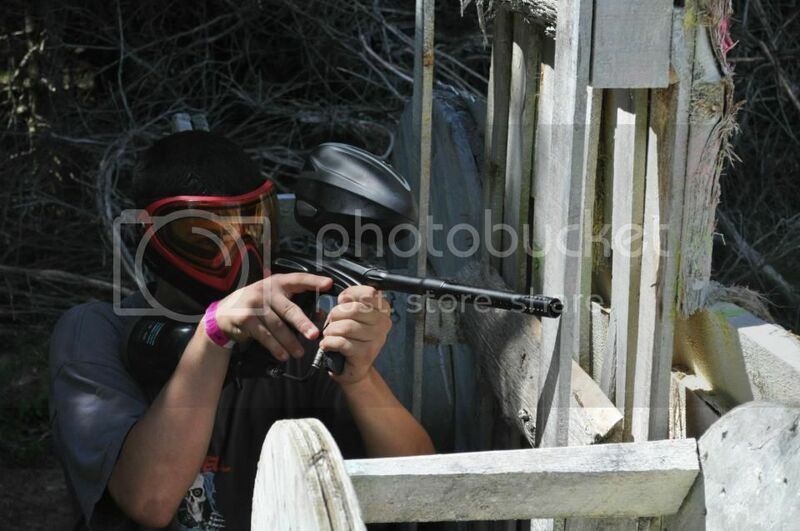 Does paintball need to be XXXXTREEEEEME to be fun? lol... preach on brother .. see sig lol. the sport has contaminated the game.. My hat is off to those who still care enough to get pissed about it. You know who you are. IMO: the solution: limited tech, limited paint. unfortunately this is a conflict of interest to most commercial ventures and hence the unavoidable paradox. "waaaaaah, electros are ruining paintball, why can't everyone play with mechs and shake n shoots"
I'll quote a really crappy movie: "You probably would ban the internet to keep the libraries open". Technology has progressed. Why haven't you? If you want to shoot a marker that under-performs when compared with newer technology, then fine. It's your choice. Just stop whining about the choice that YOU MADE to anyone who'll listen to your bleating about "the damn kids shooting lots of paint". It's pathetic. You all sound like old men (and I'm 35). A lot of people have posted in this thread with cogent reasons as to why they feel the way they do; your posts are becoming personal and unecessary. Please reconsider your tone or refrain from postinn in this thread. Thanks. I agree with your points, but at the same time many differ because of the application. Do I care that he/she/it is shooting a ton of paint? Nope, that's paintball. My only concern and also of many others is that it isn't appealing to new players who are unknowledgable of this sport and get hammered on their first time. I enjoy playing pump, I enjoy playing with a handicap, I enjoy shooting a ton of paint. Calm down kids, no need to get your blood pressure up. Technology is not the enemy. people are. Team mate with an electro and Rotor...knows how to use it too! WTF?! An electo with a stick feed? Is that even legal? Last edited by Stilgar; 09-08-2012 at 09:46 AM. I don't mind speedball, or playing against people with "better" equipment. I play speedball with a pump sometimes just for the heck of it. But Speedball is not the only form of paintball, nor is it the best (or the worst). I prefer to play in the woods or large villages because I have more room to move and more options. I would support a field that has age limits for more than the reasons I have listed - by the logic of many in this thread we should allow an NFL lineman to play for the Central High School football team. The kids'll be fine. Heck just do away with junior leagues, Jr High and Highschool, and college football and have everyone who wants to play football walk onto the field for an NFL team - quadruple the number of players on the field and remove a ref. Interestingly, I pointed out that I don't really have a problem with the way video-guy plays and would, in fact, adapt my play to the situation (per your suggestion). I never said that I felt marker-X should be banned form the game, or that EVERYONE needs to play STOCK. But Mech-marker, Pump, limited paint, and stock are all really fun aspects of the game that many may be missing out on. I have actually played Stock, Pump, Mech-Semi, Electro-semi, speed-ball, woods-ball, indoor-ball, scenario, and "large game" (nothing as big as that shown in the video). It was all a BLAST! But I tend to get more enjoyment out of mech-semi or pump in the woods. Young/new players often ask me "Is that a pump?" I answer "Yes". Then they ask "Why do you play with that?" I tell them "When you play a video game it keeps getting more difficult the farther you go, right? To keep it fun. That's why I play pump." STILGAR: A stick loader on an ELECTRO? SWEET! Most new guns have fantastic accuracy (not like a lot of the first-gen or second-gen semi's). It would be really cool to be able to modify the board so that the BPS could be similar to an auto-trigger pump (so 4-ish). Just an odd thought. "Sorry, I'm programmed to do that..."
Last edited by ironnerd88; 09-08-2012 at 08:27 PM. Stilgar, love your statement: "Technology is not the enemy", this is so true in the context of this discussion. Reading this thread (ha, thanks for starting a good one Russc) I keep coming to this thought: if you don't like the way people in your area play, figure out how YOU want to play and invite some others to play that way too. It can be done, and my little no-big-deal league is living proof. We play for fun, with any gun, at ANY bps and its not a problem. If it becomes a problem the problem-makers are uninvited. I'm not (just) hyping our form of play (check sig), I'm saying its ONE of the ways to make a difference...and if I can make some difference as a player, so can you. Just change what you don't like and invite others to join you.